I absolutely loved this HA but giving only 4 stars for the fact I only purchased it 5 weeks ago & only used it 2-3 times a week and now it's all gone,Surely it wasn't full up as the 1st time I ordered it it arrived an empty bottle,not a drop in sight & although I was kindly sent another I can't help but think you can't gurantee if your getting a full bottle & for that reason only I won't be purchasing again,Please make the bottles see through. Customer Care: Hello, and thank you for sharing your experience with us - we're sorry to hear this didn't work as expected for you. This booster contains approximately 50 applications per bottle depending on the amount pumped out and of course this will vary per person. We deliberately use opaque bottles, to protect the product from damage by light and make sure our complex formulas stay as potent and effective as possible. Can’t believe I have only just discovered this product. I suffer from dry flakey skin in winter and no matter what masks or heavy moisturisers I use, it never really solves it. This on the other hand has been a game changer. Has made my skin look plump and dewy and although not totally eliminated the flakiness on forehead, has reduced it by at least 90% elsewhere. Superb. Works brilliantly under make up. In morning I mix it with my moisturiser before putting my sun block on. At night I mix it with a night moisturiser and a pea-sized amount of my prescription retinoid. Amazing product, so pleasedwith the results. I am 45, my skin looks so much plumper and hydrated. I use it at night and mix it with my moisturiser, also around myeye area. I absolutely love the effect, it sinks in really well. I can see it has made a big difference, fine lines are nearly gone! Catherine - LOVE LOVE LOVE!! I'm rapidly gaining a few favourites from the PC range and this is one of them! I add a drop of this every morning to my serum after cleansing, toning and exfoliating and my skin holds so much moisture during the day. My skin and makeup used to look drier and drier as the day went on, but now even my eye area still looks lovely and hydrated in the afternoon. Pretty expensive but absolutely worth it for me. Been using this along with my moisturizer at night, and I can see my skin is much plumper! Very happy! This is a great product, offering substantial but light hydration which I can use year round. Can be added to any other product, layered, used on its own. Its versatile and probably suitable for anyone. The only issue I have with it is its cost, relative to other PC products. Because of the viscous nature of the produce itself, a drop or 3 is essentially half a pipette. So, drop for drop, you get through this far quicker than, say, the Niacinamide Booster, which is sold in the the same amount and packaging. Started a whole new skin care regime with PC products, this and the lightweight antioxidant serum I have not reordered. Of the other products I tried, I have either reordered or ordered a variant of because I could discern visible results. I couldn't say what, if anything, this did. In addition, I had a reaction to a product(s) that caused my eyes to swell, being unable to tell which product/combination of products was the culprit and being unable to see what this did sealed its fate. Overall though, I think the PC products I have used are amazing and really DO make a difference. I have already placed order number 3, which includes more new products, so I look forward to making more positive reviews in future. Also, a big thank you to customer service! I started using Paula's Choice products about nine months ago and have to say that my skin seems to have improved. Having read excellent reviews about the Resist Anti-Aging Hyaluronic Acid Booster I thought I would give it a try. It is indeed a good product and I like the effect it has on my skin. Sadly I am not happy with the dispenser bottle. It is both heavy, the top is difficult to align, but more importantly it is so hard to get anything out. For these reasons, I do not think I will purchase again. 28 years old, combination skin - dry skin, and sensitive. I do get occassional dry patches on my cheeks or chin. Before I found Paula's Choice, most products I tried for sensitive, dry skin would still irritate my face by making it red, dried out and tight feeling. I love this product! I first bought the trial size of this to try it out and I am so glad I did! The Resist Anti-Aging Hyaluronic Acid Booster makes my face much more smoother and softer. I first started out just using 2 drops of the trial size every night by mixing it with my Skin Recovery Antioxidant Serum with Retinol and I was very pleased with my results. This Booster DOES NOT: hurt my face, dry it out, leave it feeling tight, cause any irritation/redness, cause my face to breakout, cause any slickness! Once my trial size bottle was empty, I bought the full size as I do feel it is worth the fairly hefty price tag, and anyways, a little bit does go a long way which is awesome! (I think it took me nearly 2 weeks to use up the trial size bottle, and this full size bottle will be sure to last me a good several months I think.) With the full size bottle I have purchased, I use this product two times a day with no negative effects. In the daytime, I mix 2 drops with my Resist Anti-Aging Super Antioxidant Serum OR directly with my Skin Recovery Moisturizer SPF 30 (I don't always use a serum in the daytime), and then as mentioned before, I mix 2 drops with my serum at night. My face looks amazing! It looks so healthy, soft, smooth, even toned, supple, dry flakes are no more and my face is not left feeling oily/tacky/greasy! This clear gel-like serum mixes great with my products, and sinks into my skin nicely. Whether you buy the trial size first or just go directly for the full size bottle, it's win-win either way! It's worth a try and I seriously recommend it. Customer Care: Thank you for your review. We are happy to hear that you are getting these great results with this product. However, we recommend you not mix it with your sunscreen, as to not dilute the sunscreen. Enjoy! Helen - Good apart from the packaging! 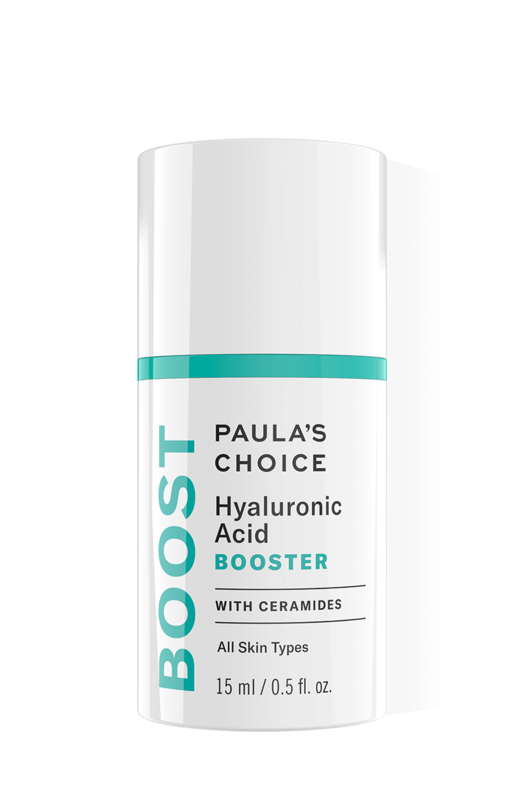 I really like this booster-I mix it with a serum for overnight and with my daily moisturiser in the morning. My only quibble is that the stopper doesn't screw down onto the bottle properly so it's just balanced loosely on top. This means the pipette doesn't reach the serum so I have to carefully tip it out when I want some. Also means it's not in an airtight or UV light proof bottle. Hopefully, if I reorder, the next bottle will be better! Customer Care: Thank you for your feedback. We are sorry to hear of your experience with the packaging. It may help to try aligning the dropper with the bottle, even though it's the most obvious step to take, it could also be helpful to keep the bottle upright, while turning the dropper slowly and firmly. This should help and if not, please contact our customer care team for further assistance. I received a voucher code with another product 4 money off this product and decided to spend the money on the larger bottle. It is quite an expensive product and not one everybody will need it however it was one which I really enjoyed using in the trial size. The product itself is viscous and despite this it spreads very well around the face and is absorbed quickly. I have mixed this product with my retinol product as well and this may be a good idea for those who can't tolerate retinol alone. I only use one drop and this is enough to put underneath my eyes. It can be smoothed with a ring finger and blended in or left to sit on the skin and be absorbed which I enjoy doing at night. I have combination skin and have no problems with this hyaluronic acid booster. It has not caused any irritation or discomfort and it has not broken me out at all. In the morning my under eye area is plump and smooth and the fine lines that I do have are almost gone. As with all paulas choice products it is a good idea to try a sample first as not all products work for everyone and all skin types. Luckily you can buy this product in a small bottle first to try. A lovely product and 1 which I enjoy using and will likely buy again in the future. I initially tried the sample size of this which provided more than a week of twice-daily use, I loved it so much I had to get the full-size bottle. This product is far superior to another hyaluronic acid product that I have used for some time. The first time I put it on my skin it felt cool and soothing, plus I love that there are no 'fillers', colours or fragrance. In general, I have found that using hyaluronic acid has prevented any flare-ups of eczema on my very dry and sensitive skin - I wish I had discovered it a long time ago and highly recommend it. This is a great product which I bought the sample size of to mix with the 1% Retinol cream after seeing the Paula's Choice team video. It does make my skin feel so much nicer than using the 1% Retinol cream on its own and as they said on the video, on my skin I do find it does also alleviate any possible side effects from using a 1% Retinol cream like drying and redness. So thumbs up and definitely give it a go as it does make my skin feel lovely. The only reason I won't be purchasing it again is because I love the Paula's Choice Resist Super Antioxidant Serum and I find this serum mixed with the 1% Retinol cream is wonderful so I really don't need this Hyaluronic Acid Booster as well. But it is definitely a great product and worth trying.